Our company offering Aluminum Awning to the clients. Aluminum Awning is widely demanded in both residential as well as commercial sector. Offered range is manufactured at modern production unit under the observation of seasoned professionals using premium quality raw material. This product is tested by quality experts on various parameters to ensure toughness at clients' end. To meet the increasing needs and demands of our clients, we are enthusiastically engrossed in providing Aluminium Awning. 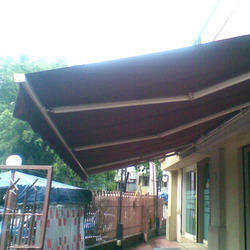 We are offering Red Fixed Awnings to our clients. We offfer an range of Aluminum wnings that is available in numus specificons in order to meet different client requirements. These awnings provide complete protection to the cars against the heat from sun as well as rain. tured from high grade raw material, ensuring longer service life. 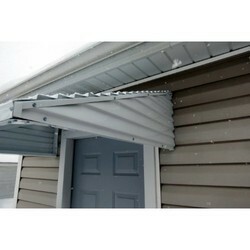 We offer these awnings at bad reasonable prices. We are Leading awnings manufacturers in delhi , Manufacturer, Supplier, Trader and Exporter Of Awning Hardware and Accessories.